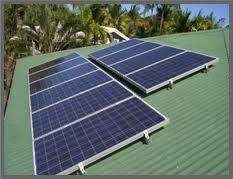 In some cases, the solar panel system may produce more electricity than is being consumed. This results in the homeowner often “selling” the excess electricity back to the electricity company which will be released into the electricity grid. In effect, the homeowner becomes an electricity retailer. The obvious question, at least from a taxation perspective, will the payments received from the electricity company be taxable? In the Tax Office’s opinion, payments received in typical situations by homeowners (taking into account the amount of equipment used, the current pricing structure and the fact that the homeowner produces electricity for a domestic purpose only) will generally not be classed as taxable income as it is private or domestic in nature. Therefore, the payments received from the electricity retailer for the power generated by the solar panels and exported back to the grid are not taxable. However, if the characteristics of the activity change (including the motivation for undertaking that activity, how that activity is undertaken and whether there is a real prospect of profit from the activity), the income from the activity may be considered taxable. As the payments are not considered taxable income and are private and domestic in nature, a homeowner would therefore be unable to claim a deduction for the cost associated with the solar system, which may include interest and depreciation. If you would like clarification of these rules to your personal situation please contact Ellingsen Partners.